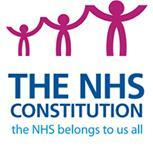 The NHS Constitution brings together in one place what staff, patients and public can expect from the NHS. It sets out the purpose, principles and values of the NHS and explains a number of rights, pledges and responsibilities for staff and patients alike. If you’re not sure where to start or how to get in touch with an NHS organisation, the Patient Advice and Liaison Service (PALS) can help.